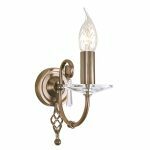 SKU: AG2 POL BRASS. 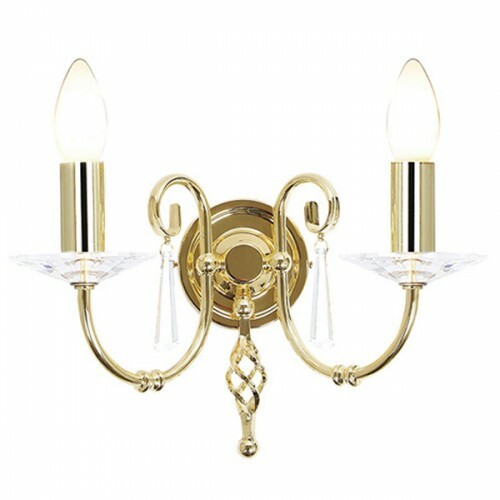 Category: Interior Lighting, Interior Wall Lights. 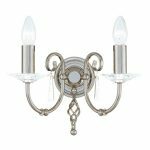 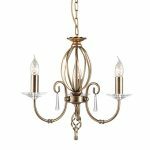 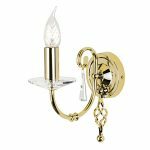 The Stylish Angela range features hand forged scrolls accented by cut glass droplets and sconces and finished in a highly Polished Nickel Plating, Polished Brass or aged Brass finish. Comprising of two Wall and three celing light, which are flush convertible, the Angela fittings will add style to both contemporary and classical settings.